On 8 June 2011, Luis Enrique reached an agreement with AS Roma to become their new head coach. He signed a three-year deal with the Giallorossi, after waiting impatiently at the Camp Nou for the call to take over from Pep Guardiola. It was a call that never came. Enrique had been appointed as manager of Barcelona B in 2008 and to many, including Enrique himself, appeared to be being groomed to take over the big chair when Guardiola moved on. After three years of waiting in the wings, though, and when the head coach decided to stay on at the end of the 2010/11 season after there had been much speculation that he would leave, Enrique tired of the waiting. He decided that a fourth year in charge of the second team would amount to a stagnation and display a lack of ambition. He decided to take the lead himself and shape his role rather than wait to have it handed to him – eventually. To many Roma fans, it seemed like a sure bet. This was the period when Pax-España was very much the dominant force in football. Iberian hegemony was in the ascendency. A few months earlier, Barcelona had secured the Champions League with an outstanding display to vanquish Manchester United at Wembley. It was their third triumph in six years. The previous summer had also seen Spain win the World Cup in South Africa, as well as holding the European Championship from 2008, which they would go on to retain in 2012. Tiki-taka was the dominant philosophy and if you wanted someone to lead your team and develop that sort of style, a dyed-in-the-wool Barcelonista was the ideal choice. On 16 April 2011, Thomas DiBenedetto, a Boston-born American entrepreneur, had taken control of the club and, with his eyes on major prizes, had deemed the acquisition of Enrique as the catalyst required to turn an ageing squad, that finished sixth in Serie A the previous season, into realistic challengers for honours. New owner and new head coach; everything looked set for Roma to prosper, but things don’t always turn out that way and as the season progressed, the difficulty of pasting an alien game plan template onto an ill-fitting and unconvinced squad became increasingly clear. All that was a long way down the line, though, when Luis Enrique arrived at the club, and as if to emphasise his intentions, he brought with him another former Barça player, Iván de la Peña, giving little regard to the fact that the Pequeño Buddha had spent two years with the club’s eternal city rivals Lazio as, what was quaintly termed at the time, a ‘technical collaborator’. The tifosi in the Curva Sud at the Olimpico may well have had a less charitable ‘collaborator’ appellation for de la Peña, but Enrique would not have considered such things as even marginally important. How far the club hierarchy may have expected Enrique to rationalise his philosophy of play in light of the particular requirements of the traditions of calcio isn’t clear, but newspaper headlines dubbing the Giallorossi as ‘BarçaRoma’ suggested that the extent of such fluctuations would be marginal at best. At the time, it felt like a commendation. Later it would ring out in much harsher tones. Enrique wasted little time in having his squad reshaped. He added Ajax goalkeeper Maarten Stekelenburg, defenders José Ángel from Sporting Gijón, Gabriel Heinze from Marseille and Simon Kjær from Wolfsburg, the latter on loan. In midfield he brought in the Argentine Érik Lamela from River Plate and Miralem Pjanić from Lyon. Striker Bojan Krkić was a capture from his old club with Dani Osvaldo, Fabio Borini and Marco Borriello – who didn’t last long at the club – as the only Italians heading to Rome. The squad took on the appearance of one less than totally wedded to calcio and its traditions. Throughout the season, many of the new acquisitions became first-team regulars. It seemed that Enrique had concluded there was a much better chance of painting his picture on blank canvasses rather than trying to use his palette to vanquish the art long inculcated into the existing squad. To some at the time, and to many more at the end of the season, it looked like the new coach had seen his appointment as a finishing school where he could finely hone his Barcelona credentials in a little more limelight than was afforded to him shuffling around with the Barcelona B team. He packed the Catalan template into his suitcase and, arriving in Rome, unwrapped and dropped it over his squad, almost declaring: ‘Watch this Barcelona, this is what I can do!’ The move suited Roma in some ways, and much less in others. Enrique eventually ended up in the big chair at the Camp Nou, but his less than totally successful time in the Eternal City meant that a slight detour to Galicia and Vigo was required on the way back to Barcelona. All that was a million miles from most minds when the season started – most, that is, anyway. The final pre-season friendly suggested that the coach and club may have some turbulent waters ahead. A 3-0 defeat in Valencia’s Mestalla in front of 45,000 spectators in the home club’s traditional Trofeo Naranja did little to inspire confidence, albeit with a less than full strength team taking to the field. Such concerns were borne out when the first three games of the new season passed – including two at home – without a victory being recorded. It included a disappointing home defeat to Cagliari on the opening day, only the third time Roma had been defeated on the first day of the season in the previous 18 years, and another less than inspiring result when Siena visited the Olimpico and left with a draw. The first win came away to Parma when a single goal from Osvaldo secured the points. It was quickly followed up with a 3-1 victory over Atalanta. Of course, nobody expected the coach’s new regime to bring instant success, but there was now some indication of progress. Such logic can go out of the window when local derbies come around, though, and a 2-1 defeat to Lazio increased the pressure on Enrique and his team. 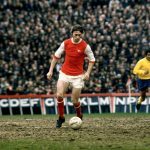 Then followed an inconsistent run of eight games, which saw four defeats, three wins and a draw before, in mid-December, a run of form suggested better things to come. From 18 December to 19 February, the Giallorossi played eight games, winning five, drawing two, and the only loss coming to Cagliari, who fought back from 2-1 down to triumph 4-2 in front of 9,500 fans at the island’s Stadio Sant’Elia. If many expected Roma to kick on from there, they were to be disappointed. In the remaining 18 games of the season, they won only seven, with the same number of defeats – including another Derby della Capitale reverse to Lazio – and drawing four. It meant a final position of seventh – Roma’s lowest position in a decade – and failure to qualify for European competition. Enrique declared that he would be leaving the club at the end of the season: “I had another year on the contract but didn’t feel that I had any more to give Roma. It let me see other players and other ways of playing the game.” This suggested his acceptance of the situation, and perhaps that his tenure with the club had served its purpose. What seemed so perfectly fit for purpose only months previously now looked like folly. What had gone wrong? It’s true that looking to a certain way of playing when your squad has largely been tutored in that way for many years through youth development is one thing, but seeking to take that plan and impose it on a footballing culture that perceives the world from another angle is an entirely different thing. Roma had no-one of the talent of Andrés Iniesta who could quicken the pace of the game with shimmy and acceleration. 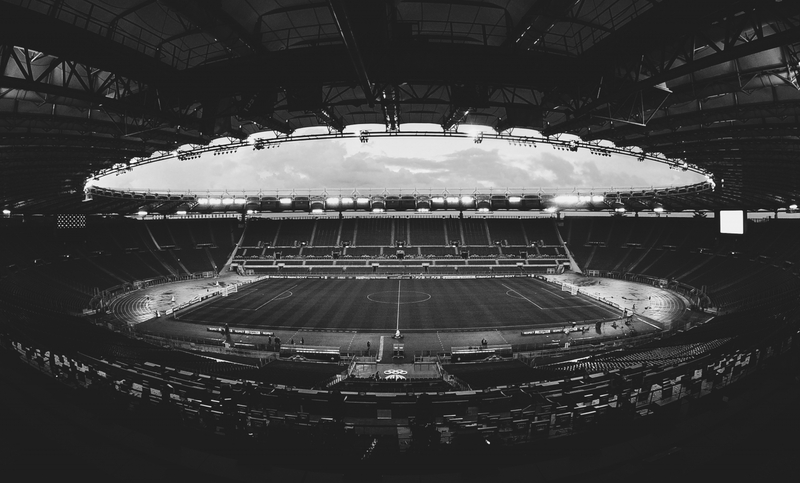 Serie A is built on patience, solid foundations and selecting the time to strike. The dominant mentality that Enrique had plunged himself into was almost diametrically opposed to that which he sought to develop with ‘BarcaRoma’ – a word that by now had become a damning indictment, rather than an accolade in the Roman press. Dominating possession is seen to have little value, and without the correct tools to execute the game, Roma became a self-fulfilling prophecy of all that could go wrong with such a plan. In terms of possession, Roma were second only to champions Juventus, having averaged 57.7 percent throughout the season, but such statistics bring no reward in themselves. Whereas Turin’s Old Lady had turned such dominance into goals and victories, Roma had palpably failed to do so. There was, of course, also no Lionel Messi at Roma. Such genius can turn a game, and despite having Francesco Totti – a player more suited to the false nine role – the ability to win games from such positions was lacking in comparison. It’s little wonder that Enrique failed to get his squad to believe in tiki-taka and all that it entailed. There wasn’t the dynamism of Guardiola’s team, harassing opposition players when that rarity of lost possession occurred. The same applied when the team had the ball. The interaction and interplay of movement and fluidity of position was largely absent. Perhaps only Bojan – indoctrinated into the system from an early age – was in tune with the coach’s desires, but in such circumstances, if only one person follows the plan, it is often he that looks adrift, not the others. Such understanding didn’t seem to permeate into the play of Lamela or Osvaldo, both of whom applied the more individualistic approach, eschewing the value of coordinated play. Bojan would also suffer the transferred wrath of Roma’s tifosi when the little striker was selected ahead of the club’s talisman, Totti. 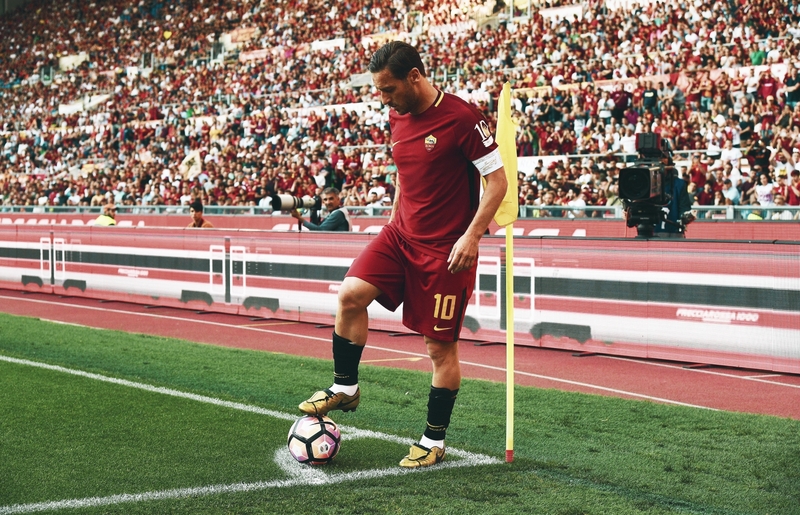 Every mistake was magnified, every error jumped upon, and until Totti was returned to the fold, there would be little peace on the Curva Sud. If Enrique had recognised that his plans were doomed, it seemed that the club had come to a similar conclusion. Despite what could be considered as crocodile tears when the coach announced his intention to leave, there seemed little appetite for a second attempt at the ‘BarçaRoma’ school of thought. 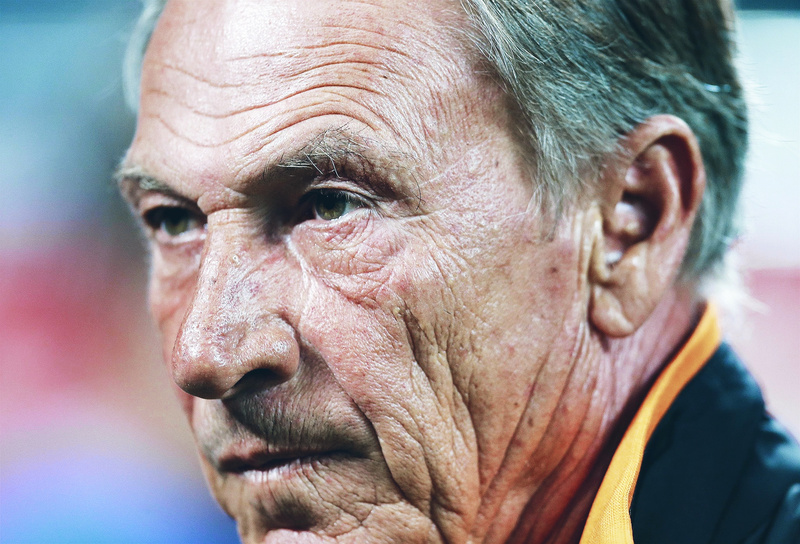 The man brought in to replace Enrique was Zdeněk Zeman. You have to wonder if he had his fingers crossed at the time. 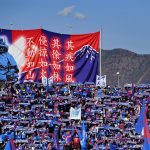 It would be cold comfort to the tifosi to hear claims of possession and territorial dominance as justification for what turned out to be a season of mid-table mediocrity in terms of the club’s recent history. Did the experiment end too soon? Looking back, it seems an astonishingly ambitious target to change the mentality of not only a club but a league culture in a single season. Perhaps a second term, with more new recruits coming in, could have made the difference. It’s the approach Manchester City took with Enrique’s old boss from the Camp Nou, Guardiola. Sometimes. however, the road being travelled can appear to be fraught with problems, especially when there’s a more familiar alternative available. It would have been interesting to see the effect that Enrique’s philosophy would have had in the longer term. Ending up back at Barcelona might have been higher profile, but it was surely a much easier sell to get the squad playing as he wanted. Perhaps given time, he could have performed the oracle at Roma and changed the outlook of the club. One season was surely too short. If Rome wasn’t built in a day, surely Roma couldn’t be rebuilt in a single season.